An upbeat, judgement-free and social class for all people of all races, genders, sexualities, body types and levels that uses dance, tumbling and partner acrobatics to build strength, flexibility and coordination. 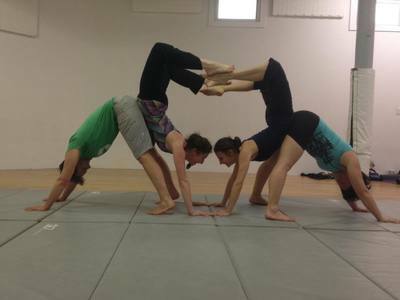 Exploring various levels of cartwheeling, handstands/hand-balancing, rolling and weight sharing one will gain communication skills and confidence in relying on one’s own body as well as trusting that of a partner(s). We will work to develop confidence and community by creating movement TOGETHER. We will work to individually challenge ourselves at our own pace to move in new and exciting ways. ALL LEVELS WELCOME. 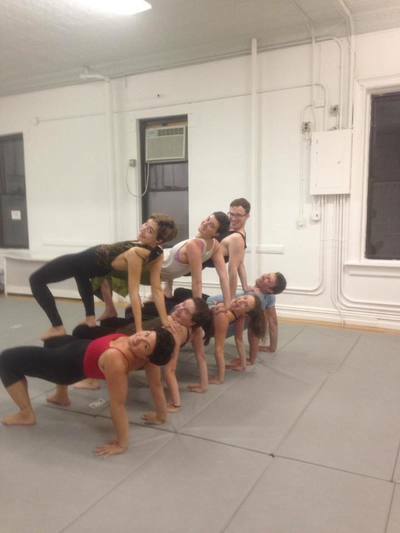 This class was developed at BAX|Brooklyn Arts Exchange through its Creating Space program. Diane joyfully spends much of her time upside down. There is a profound value in looking at the world from this point of view and she would like to share that with you in her inversion and aerial classes. All classes are upbeat, judgement-free and social class for all people of all genders, sexualities, body types and abilities. ​In Diane's classes you will build strength, flexibility, and coordination using the floor and/or fabric to invert on the ground and in the air. Her classes teach movement material and technique safely, encouraging confidence and artistry. 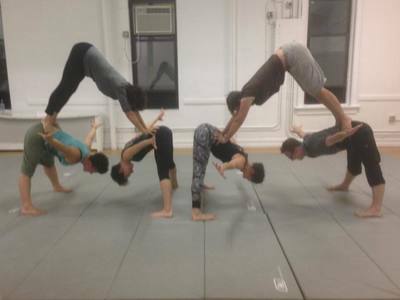 Her classes foster a positive yet challenging atmosphere that allows students to work deeply, interpreting the physicality and technique as experienced and needed.